Dubai attracted AED25.5 billion ($9.94 billion) in foreign direct investment (FDI) inflows in 2016, according to Crown Prince Sheikh Hamdan bin Mohammed bin Rashid Al Maktoum. 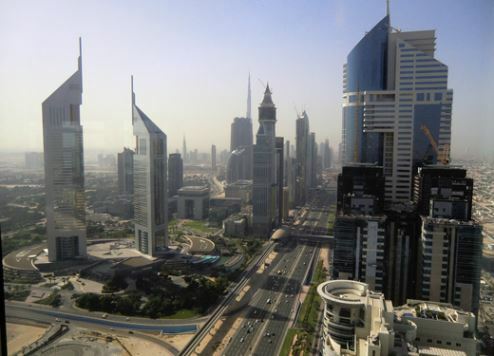 The emirate maintained its ranking of seventh worldwide for attracting foreign investment, he revealed. Sheikh Hamdan, who is also chairman of the Dubai Executive Council, added that Dubai succeeded in attracting 247 new investment projects, putting it third behind London and Singapore in new investment initiatives in 2016. Around 73 percent of total FDI last year was attributed to advanced technology projects across a variety of sectors, cementing the emirate’s position as a leading hub for finance, business, trade and tourism, he added. Dubai’s FDI Monitor also revealed that Canada, the UK, France, Spain and the US, were among the leading sources of capital while the US, UK, India, Germany and Italy, accounted for 152 FDI projects. Sheikh Hamdan said another notable aspect characterising FDI inflows into Dubai in 2016 was the emirate’s ability to attract new investment from start-ups, particularly technology firms. The Crown Prince has also announced an updated strategy to position Dubai as the capital of the Islamic economy. The Dubai Islamic Economy Development Centre (DIEDC) said the refreshed strategy for the period 2017 to 2021 focused on leading the growth of Islamic economy sectors on a local, regional and international scale, as well as establishing a benchmark for the Islamic eco-system worldwide. At the heart of the strategy are three key pillars – Islamic finance, the Halal sector, and Islamic lifestyle, which includes art, culture, fashion and family tourism, DIEDC said in a statement. Knowledge, standards and the digital Islamic economy serve as cornerstones in supporting these pillars, it added.